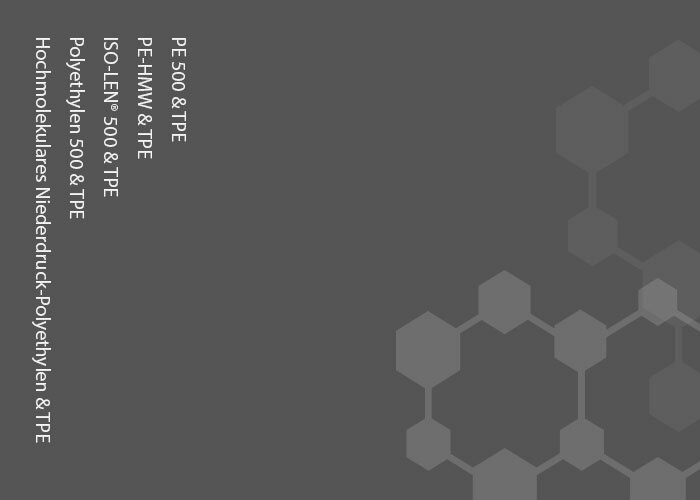 ISO-LEN® Polyrubber consists of two homogeneously compressed thermoplastic layers – high-molecular-weight polyethylene (ISO-LEN® 500) and thermoplastic elastomer (TPE). While the ISO-LEN® 500 makes it easy to fasten – for example by riveting or screwing it to a steel beam – the product-contacting carrier material TPE optimizes the storage and transport of painted or delicate finished workpieces. ISO-LEN® Polyrubber is produced in sintering presses and is standardly available in 8mm thickness (4mm ISO-LEN® 500 + 4mm TPE) and in 12mm thickness (8mm ISO-LEN® 500 + 4mm TPE). You would like to know more about ISO-LEN® Polyrubber or about a specific application? We will be happy to help you. We look forward to hearing from you via telephone, e-mail or our contact form. Detailed material data can be found in our download section.